Starter motors come in many different sizes and configurations. 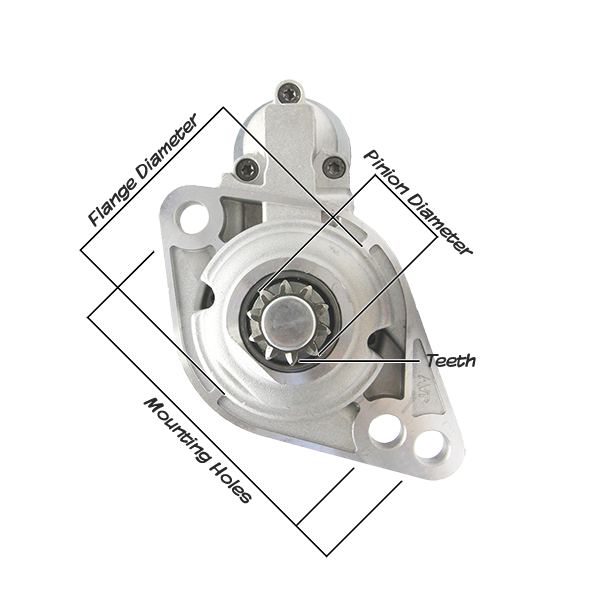 Starter motors can vary in their mounting style, voltage, the number of pinion teeth and how the teeth engage with the fly wheel. To ensure you get a starter motor that will fit and work as it was designed to, we include a specification chart with each listing with all the information you need to ensure it will suit your needs. 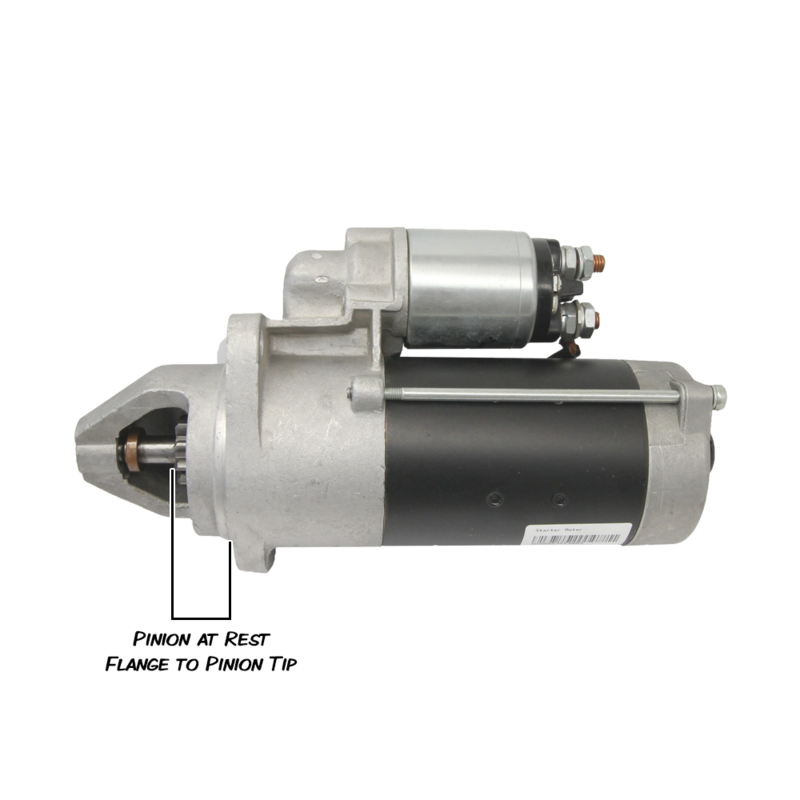 One of the simplest ways to check if the replacement starter is compatible is to send us the part number of your old starter motor. In most instances, we can run a simple cross reference and confirm your choice. 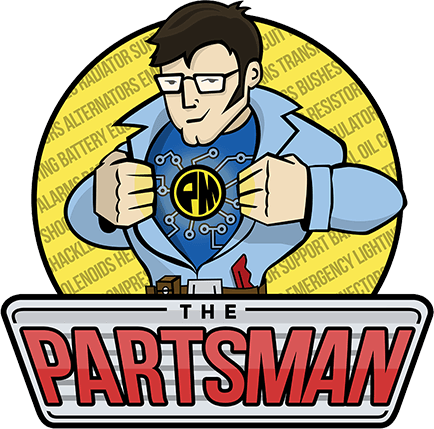 However, if you want to check yourself, we have put together a guide to help you to measure the motor yourself. Please ensure that you check, and double check these measurements. If a measurement is incorrect, your new starter motor may not fit or function as intended.